The menu button is actually still there. The phone itself will tell you the “menu button” is now the “recent apps button”. 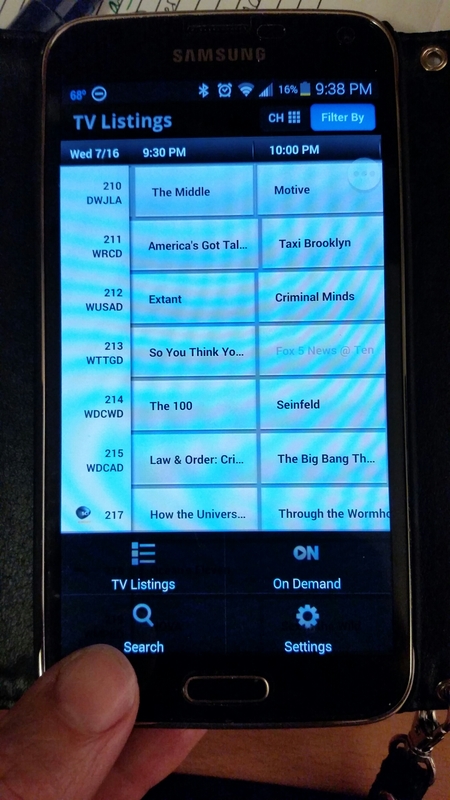 And some of your favorite apps will suddenly lose features because they don’t have an “in app” menu icon, such as the Xfinity TV guide app shown above. And you’ll be frustrated. You might even leave nasty reviews in the Play Store. I’m here to help. If you press and hold the cursed recent apps button, the menu will magically appear! Categories: Product Reviews, Tech Tips | Tags: Galaxy S5 | Permalink.